La escritora Carrie Mortleman nació en Sydney (Australia), el 3 de septiembre de 1979. Está casada y es madre de dos preciosas hijas. Con un gran talento creativo, Carrie desde su infancia potenció su imaginación, mostrando un gran interés hacia los aspectos léxicos de su lengua materna, el inglés. Dice sentirse como un hada o una sirena viviendo en un mundo de seres humanos. Ha vivido en las montañas nevadas francesas y en la multicultural y frenética capital inglesa. Actualmente se siente muy orgullosa de llamar “su hogar” al pueblo tarraconense de Calafell, donde colabora de forma altruista en una de las escuelas municipales enseñando su idioma materno. Aprovecha este intercambio didáctico para iniciarse en el aprendizaje de la lengua catalana. elefante puede volar. Durante cuatro años la historia fue evolucionando, y al llegar a Calafell, la autora sintió la necesidad de perfeccionarla, dándole un toque especial, dotando a la narración de rima y ritmo. dotándola de diversión y de motivación. Es así como Hellie (el elefante volador), sale al mercado literario en 2016, presentado como “lectura comestible”, ya que los tres personajes deliciosos de esta divertida historia son: un elefante con pelo de algodón, acompañado de un ratón de azúcar y de una serpiente hecha de chocolate de arco iris. Esta es la primera creación literaria de Carrie, una excelente propuesta para acompañar en el aprendizaje de la lengua inglesa. Está ya disponible para adquirirlo, e incluye un audio del libro para ayudar a los niños a mejorar la pronunciación en inglés. Carrie Alda Mortleman (born 3 September 1979) is an English / Australian children’s book writer and illustrator. 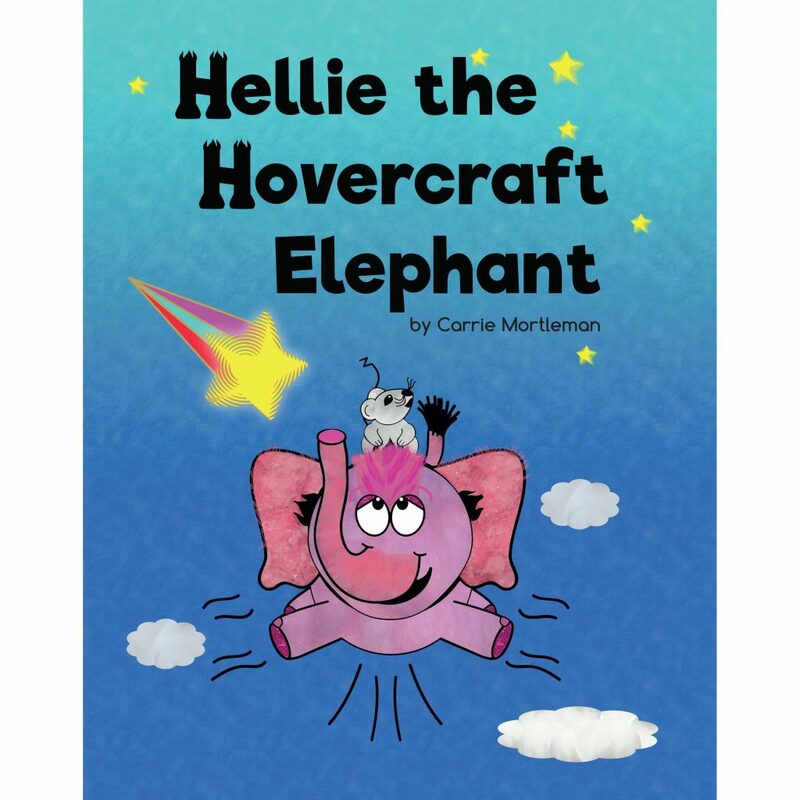 Her first book Hellie the Hovercraft Elephant was released in 2016. Trained as a graphic designer she uses a bold graphic style of illustration overlaid with rich colours and textures of photography shot at home and in her travels. Her writing style is a rhyming poem with a catchy rhythm. She terms her work ‘edible literature’ in that all the main characters are made of yummy delicious food. Born & raised in Sydney Australia by 2 loving parents, Carrie was lucky enough to be the baby with 3 older siblings. She was selected for the Opportunity Class in Beecroft Primary School and later accepted to James Ruse Agricultural Selective High School. Dipped into this melting pot of cultures and intellect, her love of literature was forged by the iron fist of her English Teacher Miss Anderson. Miss Anderson taught her to adoreShakespeare, and to fear and love the dramatically dark poem Porphyria’s Lover. But most of all she taught her passion, love and triumph in life and literature. She went on to attain a Bachelor of Business at the University of Technology, Sydney, majoring in Marketing and French Language & Culture. 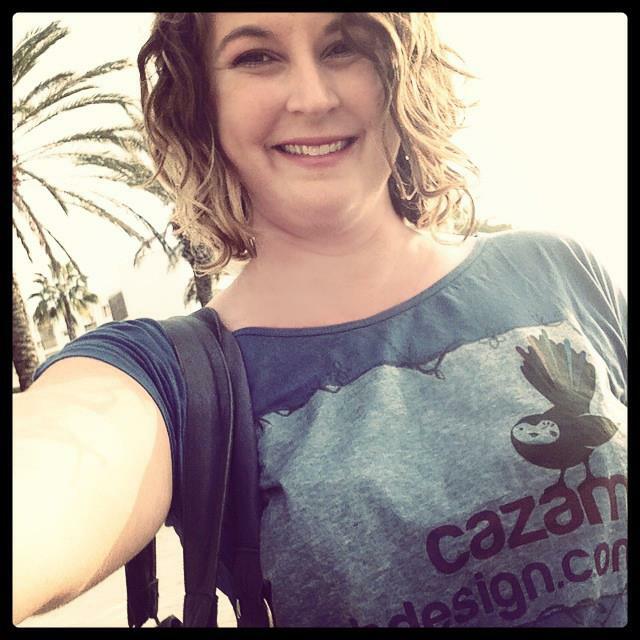 Carrie is a self-trained web & graphic designer and a skilled photographer. She currently assists in teaching English in Calafell, Spain, and loves helping young children learn, laugh, imagine, read, make, speak and flourish. She is active in her local community as an English teacher and amateur Padel player. Carrie Mortleman is also known by her married name Carrie Jeziorny. She lives with her husband, 2 young daughters and labradoodle in the sleepy little seaside town of Calafell, Spain. She is a passionate, intelligent, warm, caring and gregarious personality who strives to leave a positive, abstract & lasting happy impression on all she meets.